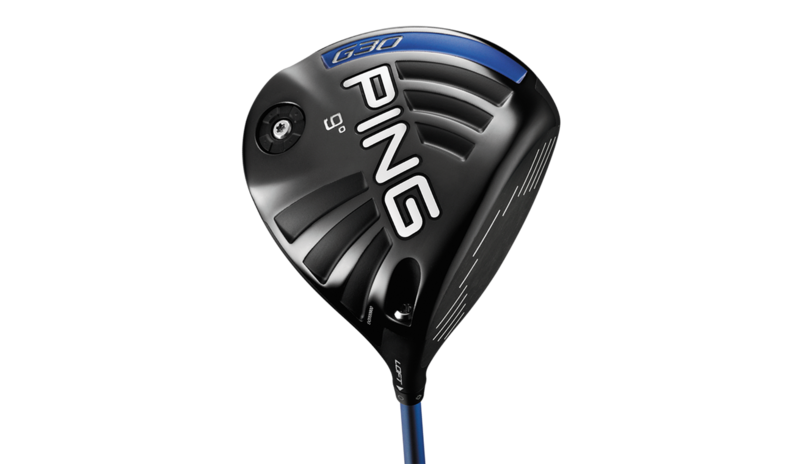 Ping Golf is starting the July 4 holiday off with a bang with the introduction of its G30 driver – a great looking design that the company says emphasizes “significantly increasing ball velocity and accuracy’’ through a combination of advanced aerodynamics, plus new face designs and materials.The G30 series includes two driver options — standard and SF Tec (Straight Flight Technology). Each driver will carry a suggested retail $385, meaning they will sell on a lot of shelves for around $349 – a good price for a new Ping product. The most visible innovation on the G30 driver is the “turbulators’’ engineered onto the crown. Inspired by the aeronautics and sporting industries that put a premium on speed, Ping says Turbulator Technology reduces aerodynamic drag by significantly delaying airflow separation, maintaining attached airflow around the club head as it approaches impact, leading to more speed. “The turbulators are really exciting,” Ping Chairman John Solheim said. “Wind-tunnel testing verified with clarity the role they play in reducing drag on the driver head, but its real benefit was confirmed through our player testing. The entire G30 series, Solheim said, benefits from new face technologies and materials, including the introduction of T9S titanium in the drivers, which results in thinner faces and weight savings that help position the CG (center of gravity) low and back. The G30 fairway woods, Solheim said, utilize a high-strength Carpenter 475 steel in the face, and the hybrids are heat treated with an H900 process. Each result in hotter, more forgiving faces.